If you end up with leftover wine and liquor after an evening of holiday entertaining, don't let it go to waste. In a recent Food & Wine article, Barilla Executive Chef Lorenzo Boni shares some of his tips for using extra wine and alcohol to make delicious pasta dishes. Beyond simply pairing white wine pasta sauces with fish and red wine sauces with hearty meats, you'll learn that even a little wine or alcohol can punch up a pasta recipe to the next level. Even a creamy tomato vodka sauce is welcome in Italian cuisine. If you’re in need of some more “wine-spiration,” you can find more pasta and wine recipes on our Passion for Pasta site. 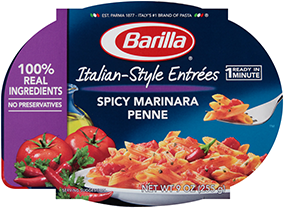 You'll find other great pasta recipes featuring wine and wine sauces among Barilla's recipes collection like Thick Spaghetti with Lobster, Cherry Tomatoes & White Wine, or Slow Cooker Ditalini with Braised Pork, Rosemary & Chianti Wine.